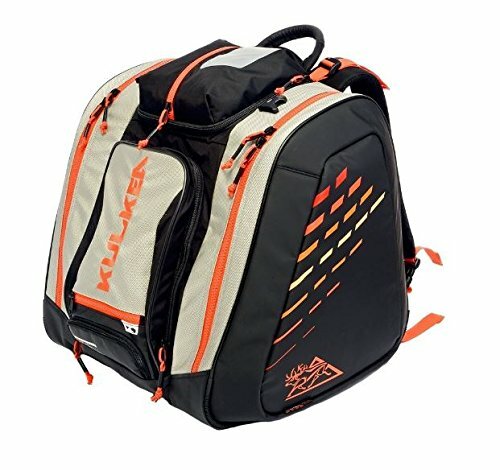 Heated, insulated and technically designed travel ready backpack for boots, helmet, gear and apparel. Quicker and more efficient heating. Highly compartmentalized and organized. Travel ready straps. The Thermal Trekker provides a highly efficient heating system by independently heating each boot within its own heating compartment. As part of the Trekker Line, the Thermal Trekker also comes with a high level of organization and tuck-away straps for the traveler. Padded and contoured adjustable shoulder straps combined with a padded spacer mesh back panel, lifter straps and a sternum strap. If you have any questions about this product by KULKEA, contact us by completing and submitting the form below. If you are looking for a specif part number, please include it with your message.